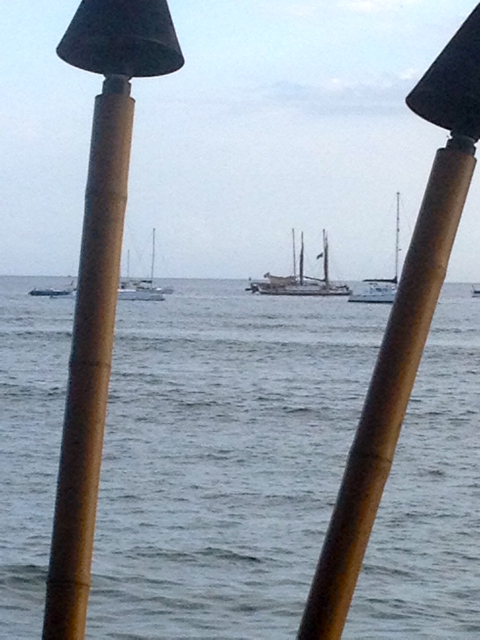 Resting in the waves at dusk last evening, the voyaging canoe Hokule’a crew prepared to sail to Hawaii Island at midnight, last stop before beginning its worldwide cruise. A proud moment said many at morning ceremonies. VOICES OF MAUI TALK STORY. See my short story in next Thursdays Lahaina News.